It seems that just like with the newer Antminer Z9 Mini the new faster Antminer Z9 Equihash ASIC miners from Bitmain are arriving with locked overclock functionality in the firmware. We already know that these ASIC miners are overclocking pretty well and you can easily get a nice performance boost over the stock hashrate the devices come with, so why is Bitmain limiting you… it is pretty clear, they want you to buy more units. Fortunately there are alternatives that allow you to overclock your Antminer Z9 miners and get a nice extra performance boost. Initially there was only a modified firmware released by user efudd on Bitcointalk that was sold to interested people, but now there is also a free version of a modified firmware available with unlocked frequencies by smartass111. Of course you are more than welcome to make a donation to the author of the modified firmware in order to support and motivate him. The new faster in terms of hashrate Bitmain Antminer Z9 ASIC miners do seem to be more limited in terms of operating voltage, so you will most likely will not be able to overclock them as much as a Z9 Mini, but still going from the default operating frequency of 500 MHz to 625 or 650 MHz should be possible on pretty much all miners. If you are lucky you might be able to even squeeze some more extra as well, just make sure you keep the chips cool enough when you start to overclock and also to have a powerful enough power supply that can handle the extra load that it will get after the overclock. Getting an extra performance boost of 20% or maybe even a bit more for free is something that you should definitely take advantage of if you have some Antminer Z9’s. 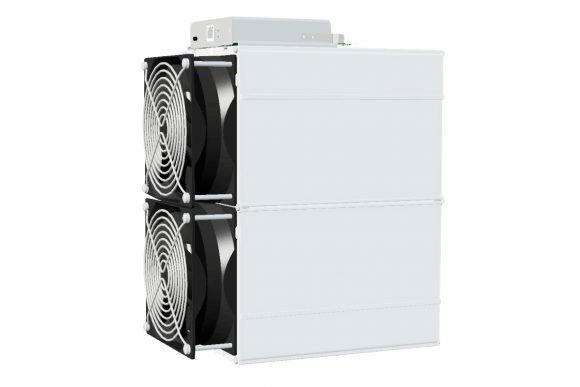 Move away Antminer Z9 Mini, Bitmain is starting to sell the “full” Antminer Z9 that will supposedly offer 40000 Sol/s for Equihash mining at 1150W of power usage with deliveries starting at the beginning of September and priced at $3319 USD (PSU is not included). For comparison the already available Antminer Z9 Mini offered just 10000 at about 250W of power usage. On the other hand there is also the Innosilicon A9 ZMaster Equihash ASIC Miner that offers 50 Ksol/s at just 620 Watts of power usage, but at three times higher price and currently out is of stock. Bitmain is currently showing only a rendering of the new device, not an actual photo, but it seems like two slightly longer Z9 Minis stitched together (maybe an extra chip or to per board). We already know that the chips used in the Z9 Mini are overclocking pretty well, so two Z9 Minis can easily reach 30 KSol/s at maybe about 700 Watts and three overclocked units can go for as much as 45 KSol/s with just about a Kilowatt of power usage. Considering this and the fact that the device apparently only has 7 PCI-E power connectors (6 for ASIC boards and 1 for the control board) we can easily assume that Bitmain may have achieved the high power usage with less chips that are already overclocked quite a lot. If they did do just that the price of the new “more powerful” units may not be justified and you should not be expecting to see a lot of headroom for improving performance like on the Minis.